I read this article and found it very interesting, thought it might be something for you. 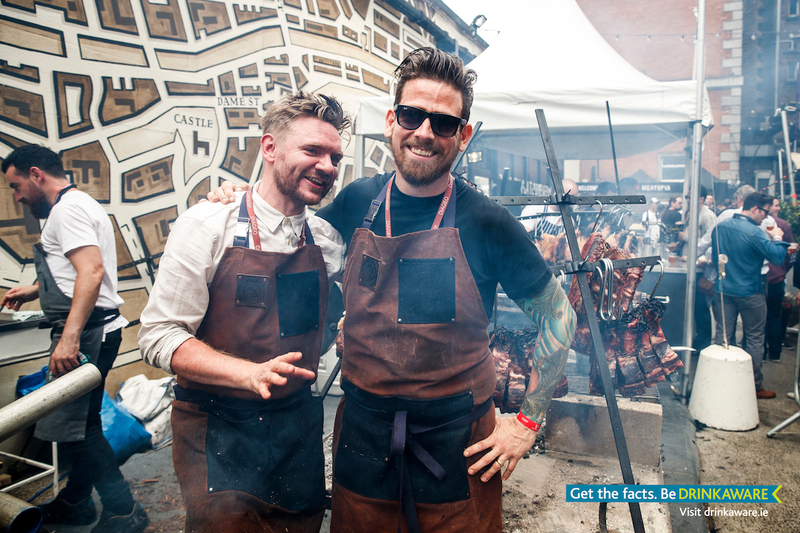 The article is called CHARGRILL AND THRILL – THE RETURN OF MEATOPIA and is located at https://www.totallydublin.ie/food-drink/chargrill-and-thrill-the-return-of-meatopia/. On a sun-kissed weekend last summer, Dublin had its first experience of the Carnivore’s Delight in the dream pairing of GUINNESS x MEATOPIA. Hosting top local and international live-fire chefs alongside bold tasting beers, great conversation and live music, GUINNESS x MEATOPIA served up the goods and then some. Celebrating produce, championing the challenging, discovering diversity and hand selecting the dish and the tipple are all hallmarks of this global festival which originated in New York in 2013. 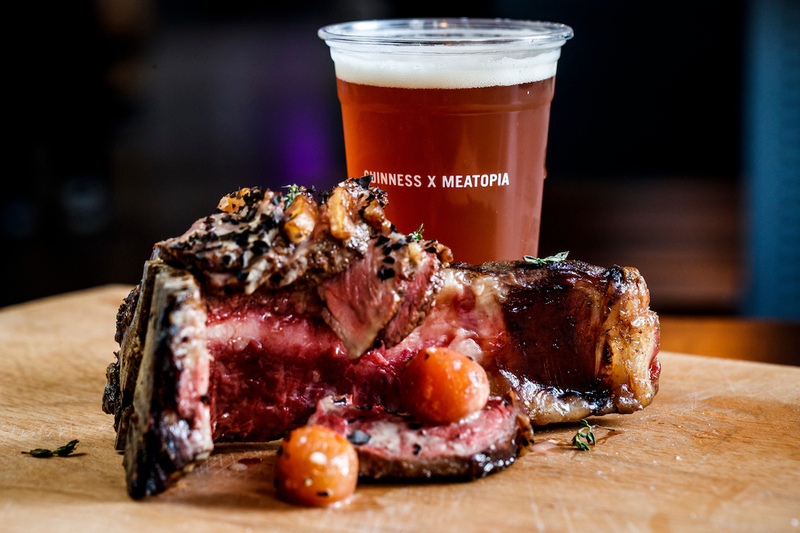 This July, GUINNESS x MEATOPIA returns for its second outing. There’ll be more unique dishes grilled or smoked over sustainable wood and charcoal, all to be washed down with recommended beer pairings from Guinness, including the Open Gate Brewery’s beers and experimental brews. Great tasting food deserves great tasting beer and over the weekend festival-goers will have the chance to experience ultimate pairings that will bring out the best of what’s on offer. 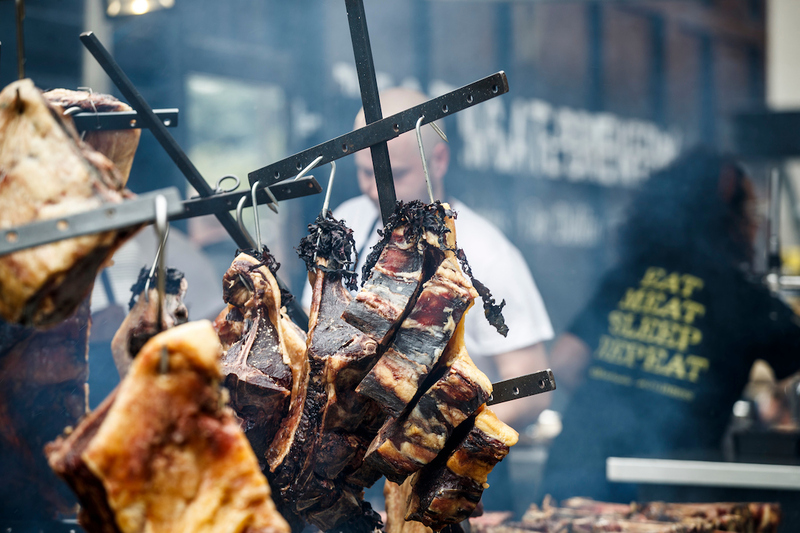 Boasting the best of local and international knowledge in the form of chefs, beer sommeliers and entertainment, GUINNESS x MEATOPIA promises to chargrill and thrill. Ian Colgan, a certified beer sommelier, from the Open Gate Brewery gives us the lowdown on beer and its perfect pairings at Guinness X Meatopia. Firstly, can you tell us how you became a ‘beer specialist’ with Guinness? I started my career with Guinness almost 11 years ago as a tour guide in the Storehouse, but in total I’ve been working in the food and beer industry for 20 years (I feel old saying that!). I’ve always been a curious person and am known for asking lots and lots of questions, so any time there’s an opportunity to feed my passion for beer and food and develop my skills as an expert, I go for it! So far I have passed my brewing exam, all my beer exams, and recently I passed level one Cicerone (a program that certifies and educates beer professionals in order to elevate the beer experience for consumers). Over the years I built up a large portfolio of experience (especially around beer and food pairings) and I applied to the Beer and Cider Academy in the UK to see if I was eligible to sit the highly sought after beer sommelier exam. They accepted, and I sat the exam and passed! I’m now one of the less than 150 certified beer sommeliers in the world and part of a small team of like-minded people employed by Guinness as Beer Specialists. Meatopia had its first outing in the Open Gate Brewery last summer, what did you think of it? Last year was my first experience of Meatopia. I had been to lots of beer and food events in the past, but Meatopia was like no other, it was an extravaganza! The calibre of chefs, the food, the music and the vibe was unreal. What I loved most was the simplicity of it all. The chefs took simple humble ingredients and using only fire and wood, created some of the best food I have ever tasted. Guinness has been rolling out a number of new beers in the last few years. What criteria do you use in assessing what to bring to market? We have a few ways of choosing what beers should be released to the wider market. We are fortunate to have the opportunity to travel to other countries a lot (for example, recently I was in Russia with Guinness and they have a great beer scene), so we are constantly experiencing and identifying new beer trends at a global level. Back home we rely a lot on what on consumers tell us. At the Open Gate Brewery, the brewers are given the opportunity to experiment with all types of ingredients and beer styles. As it is open to the public Thursday-Saturday we can get instant feedback from our customers, which is invaluable to us. If the feedback is good and the beer is being enjoyed, it could be the next big thing! The calibre of chefs, the food, the music and the vibe was unreal. What I loved most was the simplicity of it all. The pairing of beer and food has grown significantly in recent years? What has led to this? Beer and food pairings have been around for years and years. Beer is as old if not older than wine, and much like wine, it goes great with food. Guinness has been enjoyed alongside food for over 250 years, but today there seems to be much more buzz about beer being an amazing partner for food. We’re also seeing that people don’t just meet for pints as much, it’s now more about going for food, having a really special beer, and enjoying both. What I love about it all is that food is now very communal (sharing plates, tapas, etc.) and beer is such a natural fit. It’s a perfect match. Are you saying beer is the new wine? Not at all, wine has its place and rightly so for food pairings. I just think beer can be so much more interesting, there are more ingredients, more variances, more ways in which beer can work with foods. I always go food first, so I look at the food and ingredients and then pick my beer, it depends what I want the beer to do. I ask myself do I want it to cut through the flavour of the food, contrast the food or complement the food. There are so many amazing beer styles that the possibilities are endless, it’s an exciting time. What would be your ideal beer and meat pairing? For me it depends how the meat is cooked, and what’s going with it. If it’s a nice grilled or seared red meat, I’d choose a dark beer like a porter or stout. Beers get their darkness from the use of roasted barley, which is cooked in the same fashion as the meat, so these beers will enhance and complement the smokey, charred and umami tones of the meat. As a contrast you could always use a really good sour beer, preferably with some sort of red berries, I would recommend a good kreik which is a lambic style beer with loads of cherries. What new trends are you noticing in the beer game? There are a few. Sours (which I love) are making a big impact at the moment and as are beers using wild yeast, new England IPA’s which are very cloudy and juicy beers. I’m a big fan of the “milkshake and smoothie” style IPAs, which use fruit and lactose in the beer and this allows for really unusual flavour combinations. Over the years, hops have played such a big part in beer movement, but today people are starting to concentrate on other ingredients which is exciting. I think malt will be the next thing, sweeter malt driven beers, and I expect lagers, pilsners and ales will make a comeback. What excites you most about the forthcoming Meatopia? The Chefs! And the beers! The line-up this year is incredible. And I can’t wait to see what the chefs and brewers come up with this year. We’ll be working really closely with the chefs and the team at Meatopia, to make sure the beers on tap pair perfectly with their signature dishes. Maximising taste will be at the heart of all the pairings and festival-goers can expect to have their minds opened to how food can taste so much better when matched with the right flavours. We’re actually brewing a brand new one off beer just for the event, so that’s getting everyone in the brewery very excited at the moment. Maximising taste will be at the heart of all the pairings and festival-goers can expect to have their minds opened to how food can taste so much better when matched with the right flavours. Your obviously always brewing up new ideas with the team in there? Can you give us a hint about anything in the pipeline? Anything the brewers in the Open Gate Brewery can dream up, they get to brew up, so there have been some exciting releases in the last few months. Like Pure Brew, our first non-alc lager and more recently our Citra IPA and Pilsner. All these beers will be matched with the chefs’ signature dishes at Guinness X Meatopia. When it comes to stuff in the pipeline, I would love for one of our sour beers we have made in the Open Gate Brewery to come out next (they are my favourite). New beers are always coming on tap at the Open Gate Brewery, so it’s always worth heading there to check out our latest brews and tell us what you think… as for the rest, it’s all top secret! ‘This content is brought to you by Guinness.